Just What is a Nine Dragon Spot? There hasn’t been much new on the front page of Nine Dragon Spot recently, but there has been something rather interesting going on behind the scenes. A few friends and I have been compiling the “Chinese Opera Directory” – a guide that strives towards complete coverage of Chinese opera troupes, venues and museums around the world. A link to the Chinese Opera Directory should be on the menu bar at the top of your screen. Or press here. Try it. I’ll wait…. If you’re in China, Taiwan, Hong Kong, Singapore, Malaysia or Thailand and would like to see some opera, the Chinese Opera Directory will help you identify local venues and troupes. If you live in the U.S., Canada or Australia, you can also find information about amateur groups performing in your area. And if you enjoy armchair travel, the Chinese Opera Directory (in conjunction with youtube, youku, tudou, and other video sites) can be your guide to the hundreds of troupes and styles found in East Asia today. This is not a small undertaking – there is a lot of information to collect, and it is frequently difficult to find. Mainland China itself has 33 provinces, subdivided into over 300 prefects, and further subdivided into nearly 3,000 counties. Most of those counties will have at least one professional or amateur troupe, and of course the big cities will have many more. So far as I know, there isn’t a comprehensive directory of opera troupes even in Chinese. The electronic infrastructure in China is still poorly adapted to arts marketing: only the very biggest troupes have any kind of web presence. Most rely on local networks of opera lovers, communicating by word-of-mouth, posters or Weibo/10-cent to advertise upcoming performances. Every year some troupes disappear or are consolidated or are re-named. As of June 12, 2013, I’d say that the Chinese Opera Directory is only about 3 percent complete. But even an incomplete Chinese Opera Directory has its uses. Many of the main stages and troupes in Beijing, Shanghai and Suzhou are listed. There is extensive coverage of Taiwanese theaters and troupes. A Thai colleague submitted the names of dozens of Chaozhou opera groups working in that country. An American friend, the Cleveland-area musician David Badagnani, has a long list of amateur groups working in the U.S. The coverage of Shaanxi 陕西 province perhaps best represents the aspirations of this Directory. Shaanxi province is home to an astonishing variety of opera styles. Some of them no longer have professional troupes at all, some of them are only performed professionally in one place. Even the most widespread form of Chinese opera in Shaanxi – Qinqiang 秦腔 – is virtually unknown in the U.S. and Europe. For this portion of the directory, I’ve made a special effort to point readers in the direction of these unusual and “endangered” opera styles. There are many reasons to emphasize and support the cultural diversity of the Chinese opera tradition. They are interesting in and of themselves. They sometimes best reflect the particularities of the local culture. Some rural forms of opera retain musical styles and theatrical practices abandoned by commercial and official reforms of the twentieth-century. But many of these rare forms of Chinese opera are in danger of either disappearing forever or having their character changed beyond recognition because of government or market reforms. “Here is a video clip of the Hanzhong Experimental Opera Troupe (formerly the Hanzhong Han Opera Troupe) performing the scene “Second Ascent” 重台 from the opera “Second Plum” 二度梅). At the moment, this video clip is the only one on the internet which allows one to see Hanzhong-style Handiao Erhuang. It is not much to look at, but it is all the more precious. In the video are two old singers, each about 70 years of age. The Handiao Erhuang singer Wu Yumei plays the role of Chen Xiangyuan. In the 80s, she served as the vice-president of the Shaanxi Province Han Opera Art Association. Teacher Wu’s singing possessed a lingering delicacy and lasting charm, ending phrases neatly and with great finesse. Her voice was bright and beautiful, loud and strong. The actor playing the role of Mei Liangyu gives full voice to his character’s impatience, depression and resentment. Unfortunately, his name can’t be clearly seen – it appears to be Hu. There are a few phrases which disappear altogether, though it’s not clear whether this is the fault of the singing or of the microphone. It is said that before the Cultural Revolution, the Hanzhong Experimental Opera Troupe was called the Hanzhong Han Opera Troupe. Before that, in the early years of the Chinese Republic, it was called the Pingmin Erhuang Study Society, and before that it was the Tianhan Troupe of Xiangshui Temple in Nanzheng County. The local government has neglected it for years, the relevant departments ignored it, the troupe’s performers grew old, for many years they did not cultivate a new generation of actors, so that this old tradition of drama from prosperous Hanzhong, passed down for hundreds of years, has gradually faded from view. Now it has, for all intents and purposes, fallen into oblivion. In 2011, during the height of cultural reform in Hanzhong, the Hanzhong Experimental Opera Troupe, the Hanzhong Beijing Opera Troupe and the Hanzhong Qinqiang Opera Troupes were merged to form the Tianhan Cultural Corporation. They were mostly left to fend for themselves in the marketplace. A very curious idea: to combine the Qinqiang, Beijing and Han Opera troupes, with their different repertoire and their different characteristics. How could they possibly collaborate together on an opera? The most unbearably regrettable part of this is that Han Opera ought to be the form of opera most in accord with the particularities of the local culture. Compare Handiao Erhuang with another form of Han Opera, Handiao Guangguang Qiang (i.e. 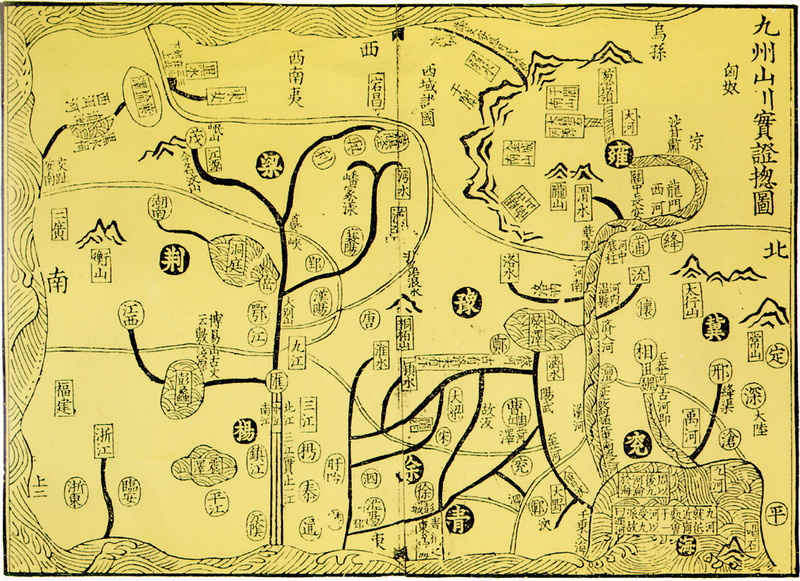 Nanzheng County Western-style Handiao Guangguang). When the characters speak, Handiao Guangguang sounds like Han Opera – but when they sing, the accent and rhymes are like those of Qinqiang. Handiao Erhuang, by contrast, is spoken and sung in true Han tones. Over the next few weeks, I’ll post more items about local opera in Shaanxi. Though the last hundred years has witnessed a great “fury of disappearance”, there is still a great deal of interesting and unusual opera cultivated in various parts of the province. Knowing how to find them is an important first step. This entry was posted in Blogology, Chinese Opera Directory / 这里有戏, Shaanxi / 陕西 by ninedragonspot. Bookmark the permalink. where you can get the precise and exact info that is certainly quite important.